Why should you become a member of the Friends of Gorges? 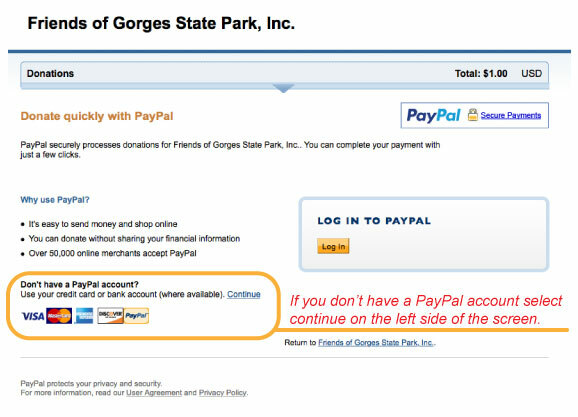 Members of Friends of Gorges State Park offer both hands-on and financial support. Educational projects, trail maintenance and greeting guests at the visitors center are just some of the interesting aspects of being a friend. Managing 7,500 acres is a very demanding job and the friends step up to help fill in when extra support is needed. Park staff are often needed elsewhere so the extra hands to answer questions and give directions can make all the difference for some park visitors. Choose either a one-time donation or a recurring donation by selecting an option below. If you are having trouble making a donation with a credit / debit card. Click here for help! 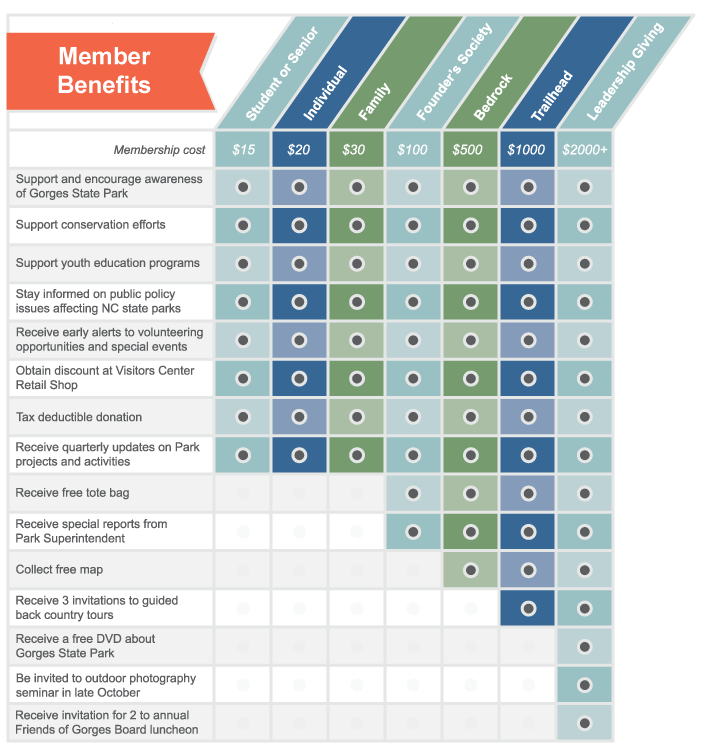 The following chart depicts the advantages and benefits of becoming a Friend of Gorges State Park at various levels of giving. Don't miss any member benefits! Keep us up to date with your mailing address. Give any amount! Give any amount! You will be redirected to PayPal for processing where you can use a credit / debit card or your PayPal account. In 2018, the Park fell short by just .09″ in reaching its all-time high rainfall. The 2019 total was 136.38″.